None of the channels in a digital marketing strategy should exist in a vacuum. They’re all connected in some way, and using those connections to your advantage can help you maximize your results on each. Unfortunately, many marketers’ approach to this is simply aiming for consistent branding and messaging on each channel. And while it is important to create cohesive campaigns, that’s only the beginning. Still, the potential impact each channel can have on another isn’t always immediately obvious — like with email and SEO. But that doesn’t mean the connection isn’t there. Keep reading to learn five ways email marketing can impact SEO, and how you can use each of those impacts to improve your SEO campaign results. One of the most obvious benefits of an email campaign is that it can drive traffic to your site. But the emphasis here should be on qualified traffic, or visitors who are likely to make some sort of conversion after they arrive. One of the best ways to do this is with personalization. 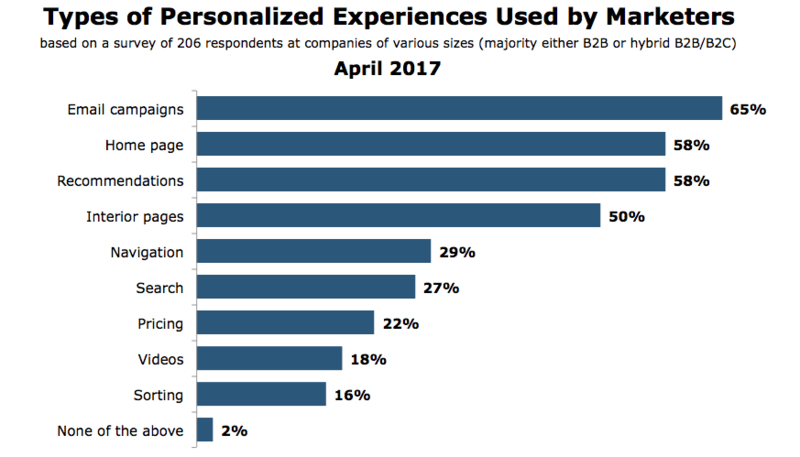 And that’s likely why among all of the channels on which personalization is a possibility, marketers are more likely to use it on email than any other channel. As a result, consumers now expect the email newsletters and content they receive to be tailored to their interests. In fact, in one HubSpot survey, Dan Zarrella asked email subscribers why they opted to subscribe to emails from certain companies. 38 percent of respondents specifically mentioned the word “relevance,” and one person wrote that email content should be “particularly and specifically” relevant to them. If you’re living up to this expectation, you can be confident that your email newsletters aren’t just driving traffic to your site, but driving targeted, qualified traffic that’s more likely to convert. And when you consider that the ultimate goal of every SEO strategy is to earn customers and revenue, this is a benefit that’s hard to overstate. Fortunately, if you aren’t yet sending emails that are tailored to your audience’s interests, getting started doesn’t have to be all that complicated. The easiest way to begin is by segmenting your list. For example, when a user opts into fashion blog Man Repeller’s email list, they can choose which types of emails they want to receive. 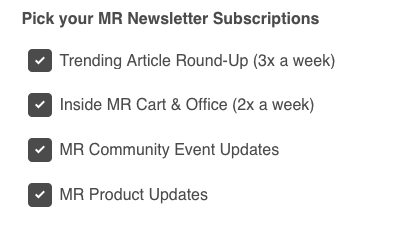 This way, subscribers only receive the emails they want — and the creators of these campaigns can create content that’s specific to each segment’s interests and preferences. Another advantage of driving qualified traffic to your site is that it enables you to attract readers that are likely to spend time engaging with specific resources and pieces of content. As a result, you can work toward increasing time on page and decreasing exit rates for your site. What’s the biggest benefit of this? The longer a visitor spends interacting with your site and content, the more likely they are to eventually convert. But on-site engagement metrics may also contribute to your SEO efforts. Although it’s impossible to say for sure whether these metrics are a direct ranking factor, time on site and bounce rate both correlate with high rankings. The more effective you become at driving your subscribers to content that matches their interests, the better your search visibility can become over time. Almost every experienced email marketer tests and analyzes at least a few elements in each of the emails they send. 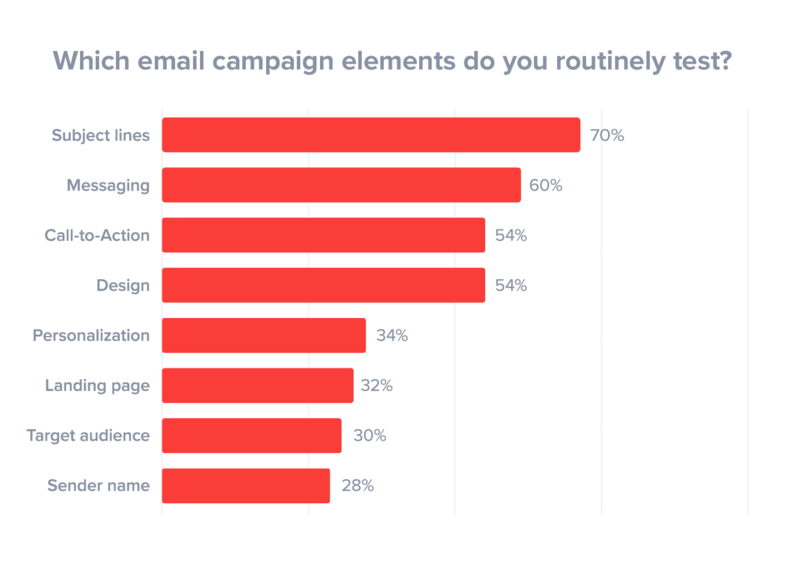 The most common of these is subject lines, with 70 percent of marketers saying they routinely test them in their campaigns. Another 60 percent say they test messaging, 54 percent test calls to action and design, and 34 percent test personalization elements. So if you’re like most email marketers, you probably already have a wealth of data on the elements you test. And this data can give you valuable insight you can use to shape other parts of your marketing strategy — including your on-site optimization. After all, if you’ve built an effective email list, the recipients are all part of your target audience. This means that their preferences can help you make data-backed decisions about your site and other channels. So, for example, if you notice that your audience response particularly well to a specific headline within an email newsletter, you might opt to test that headline as the title for the corresponding page on your site. Or, if you test a new CTA and it performs particularly well, you could incorporate the same CTA copy into your homepage. When you use your emails to get a sense of what your audience responds to best, you can make even better decisions about your site and SEO efforts in the future. There are many approaches you can take to creating newsletters and other email campaigns. One of the best is creating original content specifically for your subscribers, and selecting topics that are highly relevant to their interests and needs. 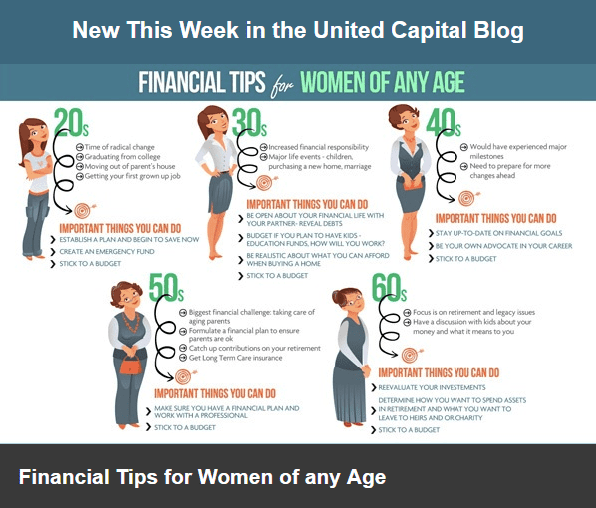 For example, when financial life management company United Capital first launched their newsletter, they used a third-party content curation service to send articles from other publications relevant to their target audience. 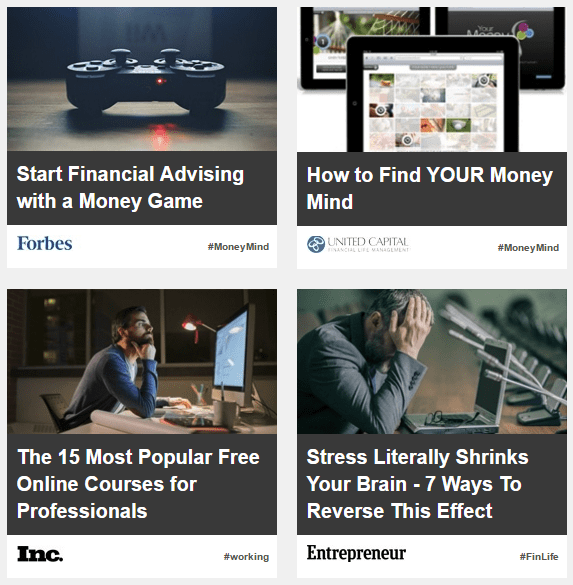 The articles they sent were typically centered around trending topics in the finance industry, along with posts on other subjects that might be relevant to the company’s target audience in some way. To improve its value as a lead generation tool, they decided to shift their approach and start creating original email content that was not only highly relevant to their subscribers, but also centered on financial topics that other publications weren’t yet covering. After incorporating more original content, United Capital saw a 145 percent increase in newsletter engagement. Their average open rate increased from 21 percent to 26 percent and even more impressively, their click-through rate jumped from 10 percent to 17 percent. Now, if you’ve ever played a role in the content creation process, you might be thinking that this sounds like a lot more work than collecting a few links to content that already exists – and wondering whether all of that extra work is really worth the jump in engagement. Personally, I think it is. But if you aren’t yet sold on this idea, consider that the new content you create for your campaigns doesn’t have to be limited to email. Instead, you can maximize the value you get out of each newsletter by republishing them on your site or blog – and reap the SEO benefits that come along with high-quality content. By getting your content in front of a targeted audience, you increase the potential opportunities each piece has to be shared on social media platforms. This is especially true if you encourage your subscribers to share your content on their own social channels within your campaigns. But is this really connected to your SEO strategy? To be clear, Google has denied that social media shares aren’t a direct ranking factor. But increased social visibility can still boost your SEO. 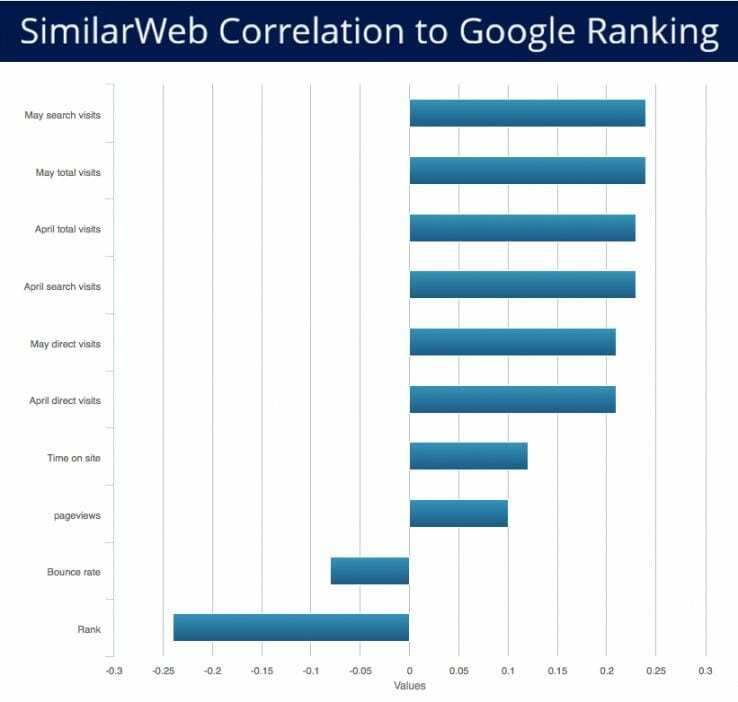 Beyond that, there’s evidence that social shares correlate with improved search visibility. 30 of these articles (the control) were not shared on social platforms at all. 30 were only shared organically. 30 were boosted for two days with a budget of $100 each. Pages that were shared organically performed 12 percent better in search results than the control, and those that were boosted performed 22 percent better. This indicates that earning social shares can work to your advantage – and few strategies are more effective for doing this than delivering your content directly to readers who are likely to get value from it. Part of creating an effective digital marketing strategy is finding ways to use each channel’s strengths to positively impact the others. 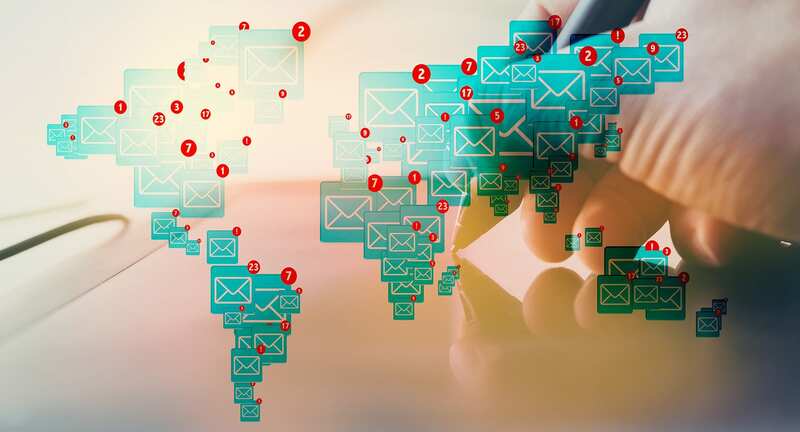 And while email and SEO may seem to be unrelated on the surface, there are plenty of ways you can use your email campaigns to boost your rankings and search visibility. Use personalization and segmentation to drive qualified traffic to your site. This will not only help you move closer to your ultimate site goals, but can also improve engagement metrics that have a positive correlation with rankings. Then, use the insight you gain from your campaigns to develop more targeted content strategies, and even re-purpose top-performing emails as site content. And as you get relevant content in front of your audience, you’ll naturally increase social shares — and while that might not have a direct impact on rankings, it can still indirectly improve your search visibility. Let’s work together. Contact us today to discuss your SEO goals for 2019.